Taqasim Music School, founded by Iraqi Oud Master Ahmed Mukhtar, was established in 2011 to teach one of the most significant Oriental instruments called Oud, among other instruments and disciplines that represent Middle Eastern Music. In preparation for the May term, the Taqasim Music School is hosting an Open Day on Saturday 27 April 2019 from 12:00 pm – 4:00 pm at the Arab British Centre, 1 Gough Square, London, EC4A 3DE. Feel free to drop by and say hello! The founding director and teachers will be available to answer any questions you may have about the courses on offer. Where: The Arab British Centre. This event is free to attend. Click HERE for directions. Teachers will be available to re-string and examine your oud, and carry out basic repairs. Also they offer private one-to-one oud lessons. If interested, please contact them at school@taqasim.net for further details and arrangements. This course is highly recommended for students who want to take oud lessons for the first time but haven’t seriously studied music before. Learning a new instrument is challenging enough as it is: new ideas, new techniques, new pieces of music and lots and lots of practice! So, let’s make things a little easier. In this short series of classes, consisting of 5 lessons, you will learn all the basic skills you need to read, write and “talk” music. 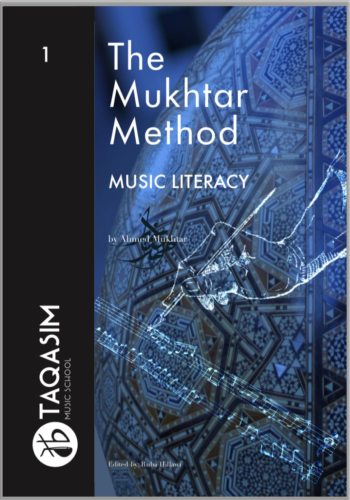 Taking a practical approach to music theory, wewill be adapting the best bits from Western classical music theory and Arab classical music theory to give you all the tools you need to start your new life as a musician. 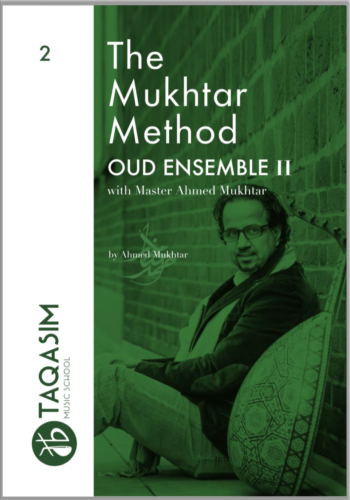 The objective of the beginner course is to acquire the fundamental techniques needed to play the oud and understand the characteristics of the Maqam Music System while studying the eight fundamental maqamaat together with traditional and popular repertoire. No previous music knowledge is required to attend this course, as most music is notated as tablature – a visual representation which does not require an understanding of music notation. However, we highly encourage beginners to sign up for our Arabic Music Theory I. This course is 10 lessons long. Each lesson runs for 2 hours. The for a maximum capacity is 7 students. Lessons are taught on a weekly basis. It is recommended that students spend time practicing material learned in between lessons. Students must have their own instrument. Teachers are available to assist in finding an Oud and to assess instruments. The Taqasim Music School offers a more advanced set of courses for groups of students who are interested in further improving their Oud playing skills. This course is 10 lessons long. Each lesson runs for 2 hours. The for a maximum capacity is 7 students. Lessons are taught on a weekly basis. It is recommended that students spend time practicing material learned in between lessons. The maqamaat that will be further analyzed and transposed from different keys during this course through the study of traditional songs and piece are: Nahawand, Ajam, Kurd, Hijaz, Bayat, Rast, Saba and Segah. We offer a more advanced set of courses for groups of students who are interested in improving their Oud playing skills further. 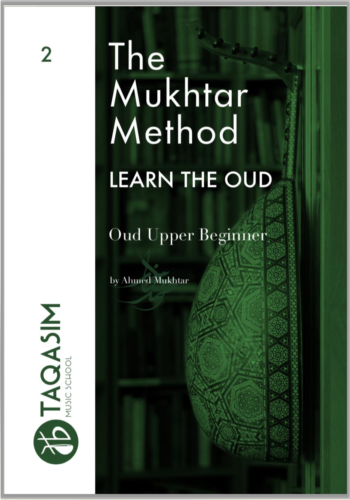 In order to enroll for the Intermediate course, it is required to have attended an Oud Upper Beginner course, and have your own instrument. The teachers are available to assist in finding an Oud and in assessing instruments. Students with existing knowledge may apply but will need to be assessed by a teacher: please contact: school@taqasim.net The level is more advanced than Lower Intermediate, so students need to allocate time for daily practice and study in order to see an improvement in their playing technique. The Oud Intermediate Level 1 course is made up of 10 lessons of 2 hours each, for a maximum group of 7 students. Lessons are taught on a weekly basis. It is recommended that students spend time practicing material learned in between lessons. During the course, a selection of Maqams (Ajam, Hijaz, Hijaz Kar, Rast, Suzak) will be analyzed in detail while studying traditional repertoire to highlight the characteristics of each Maqam, accompanied by technical studies on right-hand techniques, left-hand positions, and 2-octave scales. 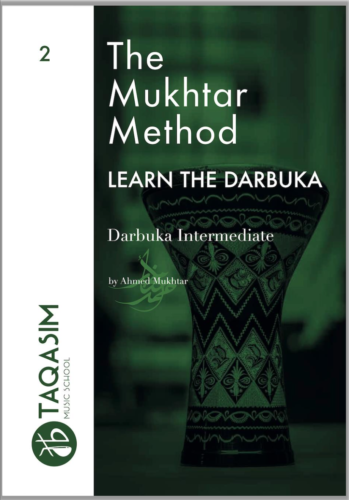 New maqamaatthat will be covered in this course include: Nahawand, Kurd, Lami, Bayat and Maqam Bayat Shor. You will also learn new techniques using the second octave and some ornamentation. 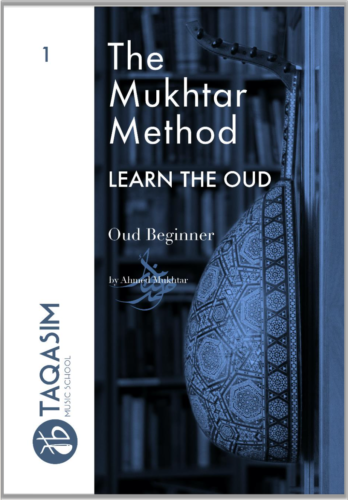 This course is designed for students who are interested in improving their Oud ornamentation techniques and to extend their knowledge of the maqam system. In order to enroll for the Upper Intermediate course, it is required to have attended an Oud Intermediate course or to be comfortable with previously covered material and have your own instrument. Students with existing knowledge may apply but must be assessed by a teacher. Please contact: school@taqasim.netfor an assessment. Students need to allocate time for daily practice and study. This course consists of 10 lessons of 2 hours each. The maximum number of students is 7. Lessons are taught on a weekly basis. The darbuka (also darbuka, doumbec, tabla and goblet drum) is a drum with an ancient history and is widely used in the music of the Middle East and neighboring areas. It is played with the hands and has a single “head”. Originally, it was made of baked clay and an animal-skin head. Modern versions are usually made of a light metal such as aluminum and have a plastic “head”. 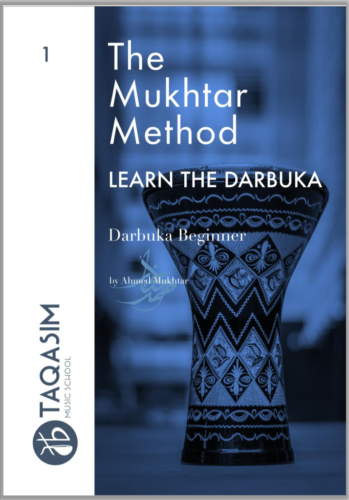 This course will cover basic techniques such as the correct way to hold the darbuka, how to produce the correct tones (such as “dum” and “tak”) and the correct right and left-hand strokes. Students will learn a variety of popular rhythms such as Wahda, Maqsum, Ayyub, Malfouf and Thurayya. At the end of the course, students will have the option of progressing to the Darbuka Intermediate course. Note: Students will need their own darbuka as they will need to practice between lessons. This course will focus on new complex rhythms which will be learned and executed by combining the rhythms covered in the beginner course. Such rhythms will include 5/4, 7/4 and 9/4 timing. Various ornamentations will be added to known rhythms by filling in the silent beats and controlling the speeds at which rhythms are played. Also, new techniques will be taught such as the mahbous using both the right and left hand. An alternate combination of techniques will be applied to rhythms in order to develop students’ ornamentation skills. The course will also focus on improving the quality of sound students produce from their Darbuka. An emphasis will be placed on developing sound the quality of the techniques learned such as the dum, tek and shek. Note: Students must have their own darbuka to practice between lessons. The objective of the Oud Ensemble Course is to provide students with the opportunity to further progress their performance skills in a group setting. Each class will focus on a single Maqam and its corresponding repertoire with the goal of further developing students’ ornamentation skills such as tremolos, trills and the use of qarar and jawab within each song or piece. Through this course, students will have the chance to progress their skills collaboratively while performing as a collective ensemble as well as playing solo. A selection of traditional songs and pieces will be analyzed in detail, adding various ornamentations and dynamics. Maqams that will be explored in detail include: Maqam Hijaz, Kurd, Segah and Saba. The course consists of 6 lessons lasting 3 hours each. The maximum capacity for this course is 10 students. Lessons are taught on a bi-monthly basis. All course materials are provided in print. This Course is open to Taqasim students who have successfully completed the Intermediate and Upper Intermediate courses. حيث يوفر البرنامج جائزة أولى قدرها 4000 دولار في كل حقل من الحقول المذكورة أعلاه، لكاتب/ـة شاب/ـة يتراوح عمره/ـا ما بين22 و35 عاماً (مواليد ما بين 1/1/1984 و31/12/1996)، إضافة إلى إمكانية نشر العمل الأدبي الفائز، وتلك الأعمال التي توصي لجنة التحكيم بنشرها. ويجب على المشارك/ـة أن يكون فلسطينياً/ـة بغض النظر عن مكان إقامته/ـا، شريطة أن يكون العمل الأدبي باللغة العربية، ولن تقبل الأعمال المنشورة سابقاً. ويمكن لكتاب شباب من الجولان السوري المحتل المشاركة في هذه المسابقة. يتم نشر نتائج المسابقة في بيان ختامي خاص للجنة تحكيم المسابقة تنشره المؤسسة على صفحتها الإلكترونية و/أو قائمة بريدها الإلكتروني، و/أو في الصحف المحلية. والمؤسسة غير ملزمة بتقديم أي إيضاحات إضافية، لأيٍّ من المشاركين، أكثر من تلك التي يشملها البيان الختامي. فترة الترشيح: تقبل الطلبات لهذه المسابقة قبل تاريخ 30 أيار 2019، ويتم الإعلان عن أسماء الفائزين في موعد أقصاه نهايةتشرين الثاني 2019.